Posted on November 2, 2018 by Matthew Leib. This entry was posted in Spotlight, Staff Stories and tagged Spotlight, staff story. Bookmark the permalink. Leonora Clarke isn’t a doctor, but she does work hard to provide healthcare to the underserved. 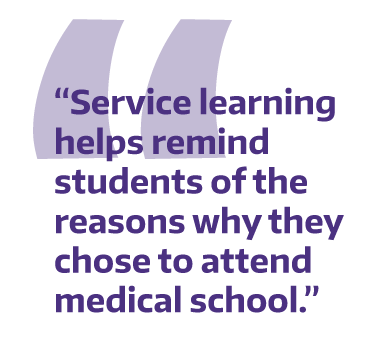 As manager of service learning at UW Medical Center, Clarke works to support 50 healthcare projects staffed by more than 500 medical students serving thousands across Washington, Wyoming, Alaska, Montana, and Idaho. 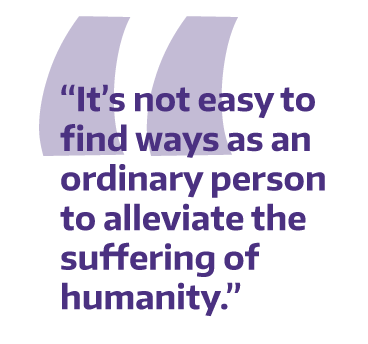 Clinical projects are one of primary pillars of community engagement at the UW School of Medicine, (the others are advocacy, health education, and mentorship). These are student-driven efforts that aim to foster better health outcomes in response to community-identified concerns. Combining community-based service and research with preparation and reflection, students are not only able to make connections to their coursework and explore their role as citizens and professionals, but also retain a more holistic outlook on their education overall. One of the oldest student-driven healthcare projects is the Community Health Advancement Program (CHAP), which provides dermatology and foot care services to clients at the Pioneer Square Downtown Emergency Service Center and partners with dental students to provide dental screenings at local shelters. Another endeavor on the clinical side, is the Casa Latina Screen and Refer Clinic, which connects medical students with populations made up largely of day laborers to provide health screenings and referrals. For Clarke, service learning opportunities are one of the most effective means of avoiding academic burnout—allowing students space to momentarily set aside a raft of medical coursework to make tangible impact in local communities. “Service learning helps remind students of the reasons they chose to attend medical school in the first place,” she says. Clarke’s role also includes support for health sciences interprofessional community engagement. This is mainly done by the Health Sciences Service Learning & Advocacy (HSSLA) Committee and the Center for Health Sciences Interprofessional Education (CHSIE). An effort led by Tracy Brazg, CHSIE brings students together from two or more professions to learn about, alongside, and from one another. The hope, Clarke says, is that such experiences add to students’ comfort level working in an interprofessional team setting—an essential ability when caring for patients and embarking on careers in medicine. One example of this kind of work can be found in the Health Equity Circle which brings together an interdisciplinary group of health sciences students to do advocacy work. These students focus on how social factors contribute to inequity in healthcare to teach community organizing skills to pre-health and professional health students. “These interprofessional projects offer students real-life experiences working with colleagues that they would not normally interact with,” Clarke says. 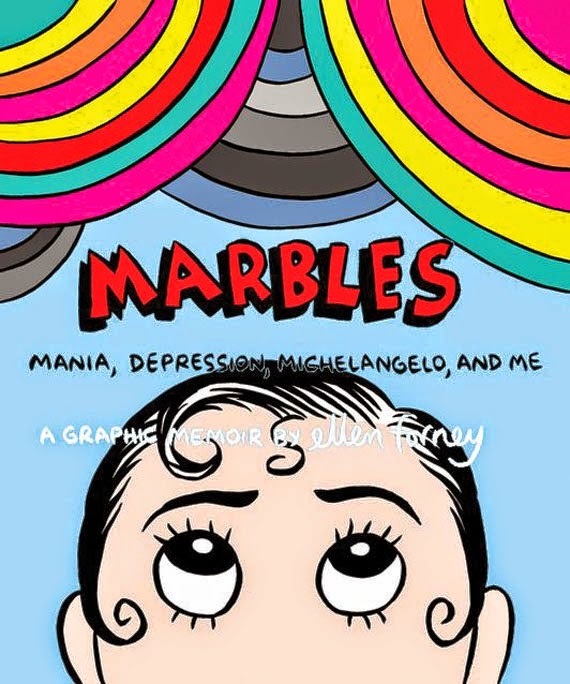 Join cartoonist Ellen Forney, author of acclaimed graphic novel, “Marbles,” on Nov. 6 from 5:30 – 7:30 p.m. for a talk about balancing mental health with creativity as part of the UW Health Sciences Common Book program, another of the initiatives Clarke helps oversee as manager of service learning. Mentorship and health education are also a key part of the School of Medicine Service Learning program. From educating in local schools about the risks of smoking to broadening pathways for underrepresented students to enter into the Health Sciences professions, students at the School of Medicine are more than likely to find a fit with one—or a few—service learning initiatives. “We encourage students to reflect on these experiences and how their perspectives tend to differ depending on their backgrounds and education,” Clarke says. Clarke’s work as manager can involve everything from buying Band-Aids for the University District Street Medicine project to meeting with lawyers to hammer out an affiliation agreement with a community partner. Just how much is something Clarke could never have realized as an undergraduate majoring in art at the UW. Upon graduating, she became a potter and later trained to become a certified auto mechanic—an extension of wanting to explore careers that would give her the option of making a living using her hands. But after having children, Clarke stashed her potter’s wheel and the tools she’d accumulated at mechanics’ school and took the advice of a friend to apply to a job at UW Medicine. 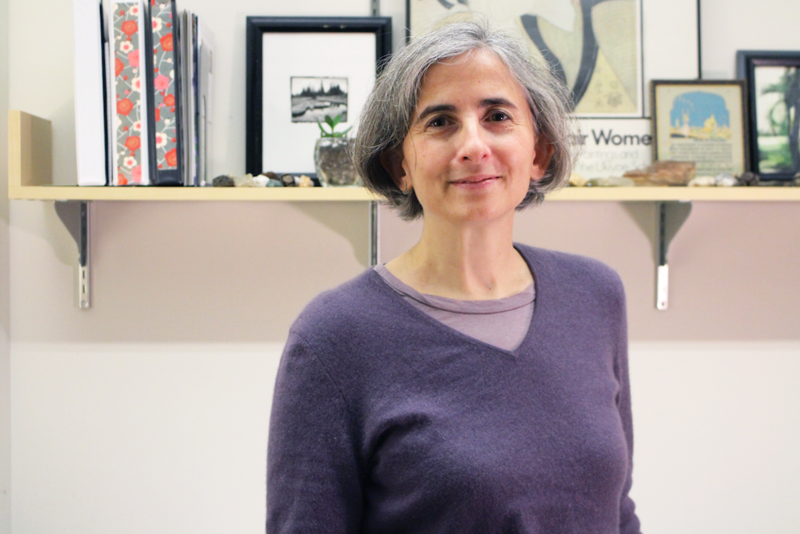 Clarke’s deep-seated desire to do good predates her joining UW Medicine, but her employment at UW helped her actualize it—both at the office and beyond. Five years ago, she decided to use UW’s tuition exemption benefit to begin taking courses in comparative religion at the Jackson School—a decision she made after taking a bad fall on a steep stretch of Yesler Way that made her realize her time on earth was limited. “I thought, I’ve always wanted to go to graduate school, so I decided to try to go to graduate school,” Clarke says. By the end of the year, she’ll have completed her a master’s degree in Japanese Buddhism and hopes to continue working toward ordination at a Buddhist temple. Before accepting her job as Service Learning Manager, Clarke had seriously considered going to chaplaincy school, but she says she quickly found that her desire to do good in the world was fulfilled through her work at UW Medicine. Join cartoonist Ellen Forney, author of acclaimed graphic novel, “Marbles,” on Nov. 6 from 5:30 to 7:30 p.m. in Hogness Auditorium at the Magnuson Health Sciences Center. Learn more here.